Valspar Renew can be used on properly prepared surfaces of fiberglass and ferrous metals as well as previously painted surfaces. Colors match original equipment finishes. Lasting gloss and color retention. Superior resistance to rust, corrosion and abrasion. 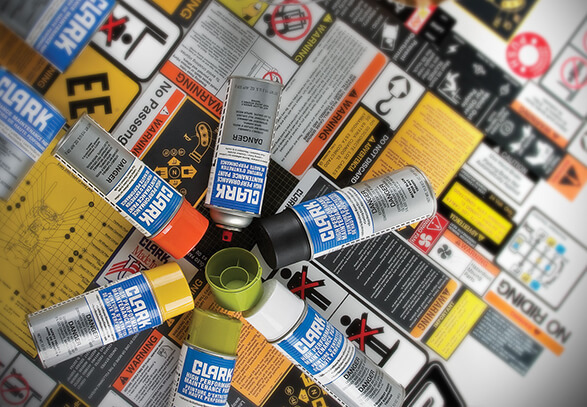 CLARK Totalift high-visibility finishes are formulated and exhaustively tested to withstand the rigors of equipment usage year after year. Not only do we sell Original CLARK Green Colors, but we offer a wide range of most OE colors. Contact your CLARK dealer today to get a complete listing of colors offered. CLARK believes that fully informed people are safer and more productive. Safety labels, in combination with proper training and effective supervision, can provide important reminders of safety to operators, supervisors, owners and others. The Occupational Safety and Health Act (OSHA) requires that your customers maintain the safety labels in place and in a legible condition. When you help your customers meet their obligations under OSHA, everyone will benefit. Make sure every truck you own has the appropriate safety labels. CLARK recommends you install safety labels on all of your trucks regardless of make or year. 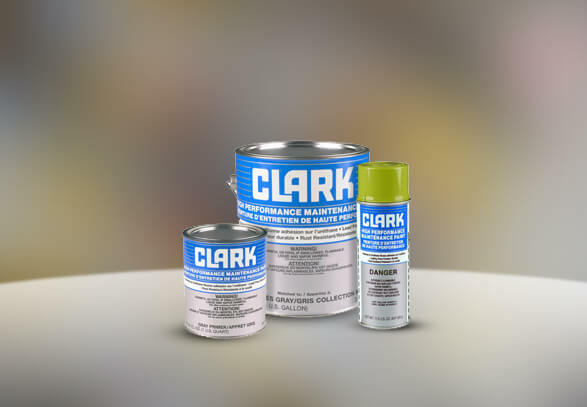 Your CLARK service technicians will check your labels at every planned maintenance interval.